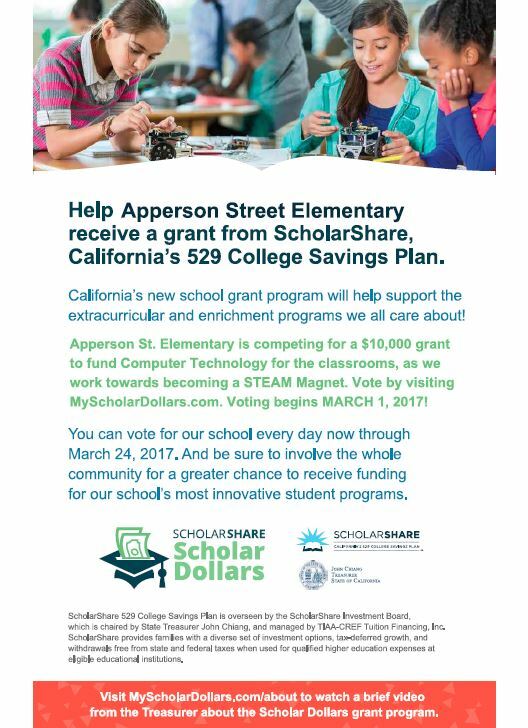 Apperson Street Elementary School is competing for a $10,000 grant to fund Computer Technology for the classrooms, as we work towards becoming a STEAM Magnet. Vote by visiting MyScholarDollars.com. Voting begins March 1, 2017. One vote per email address per day, through March 24!